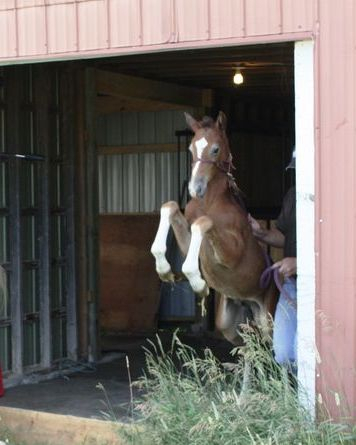 Born May 24, 2010 - It's a Colt!! Born during the early morning hours on May 24, Finn is a tall, leggy chesnut (grey) colt with a substantial amount of white. 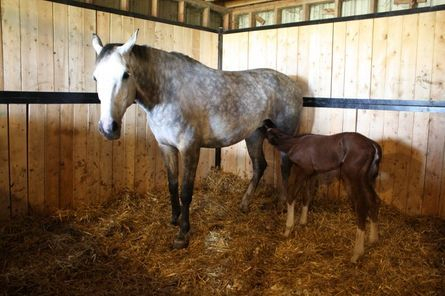 Finn is the first foal bred by Mikali Farms to be born in Canada. 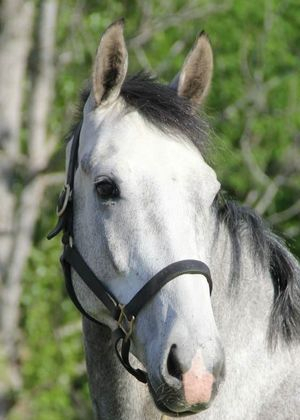 He is also the first foal out of our mare Cornetta. Finn is everything we could have hoped for from this cross!! 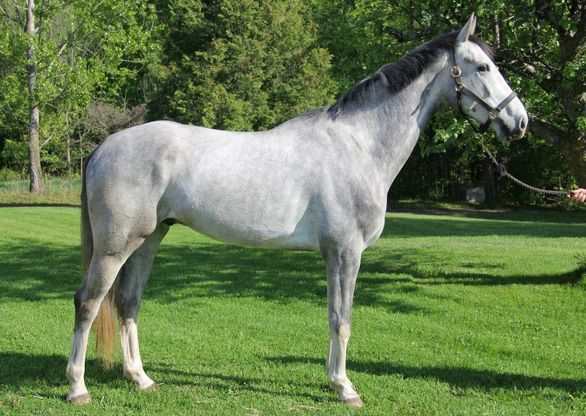 Long legs, refined features and smart, he is beginning to develop a lovely powerful canter now that he is out in the big field to romp and play. This one will be hard to part with, but we are going to love watching how he develops!! On August 31 (2010), Cora and Finnan attended the KWPN-NA keuring held at the beautiful Prima Equestrian. Finnan received his first premium and was an incredibly close 2nd to the impressive Mr Blue filly in the jumper foal class!! He was extremely well behaved for his first off-the-farm adventure, handling the sites and activities with a maturity beyond his years. Upon weaning, he will join a group of other colts to grow and develop well into his two-year-old year. Wanting to see what Finnan was capable of with his powerful canter, I was more than pleased with his first freejumping efforts!! 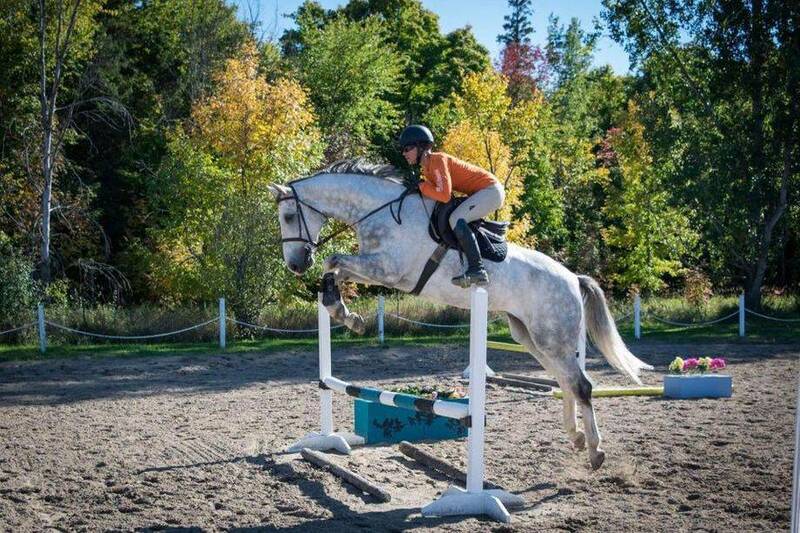 Finnan has enjoyed his summer out in the fields - this fall he will be gelded and then get a small start as we head towards his future competitive career. Finnan has started his ground work training. He is going nicely in his bridle and surcingle and working towards being put undersaddle. I have not felt the need to rush with him as he still looks more like a 2yo - I am sure that the extra time will be of great benifit and that he will not be behind others of his age group come next spring. 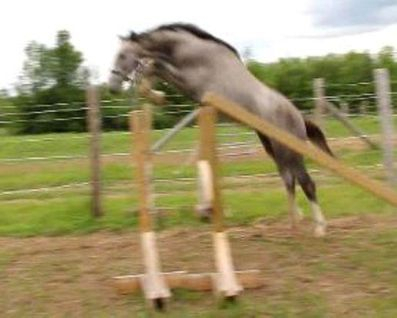 For some change to his regular routine, we free jumped him for the first time this year - he really seemed to enjoy it and is becoming so consistent with his jump! Finnan celebrates his fourth birthday!! 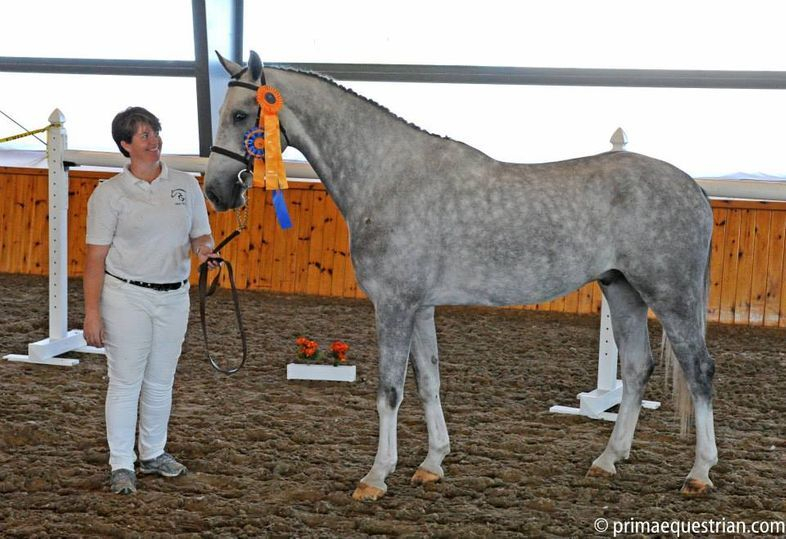 Finnan had a most successful day at the KWPN-NA keruing held at the lovely Prima Equestrian. He easily earned his ster predicate scoring an 85 for conformation and an impressive 90 (!!) for jumping!! 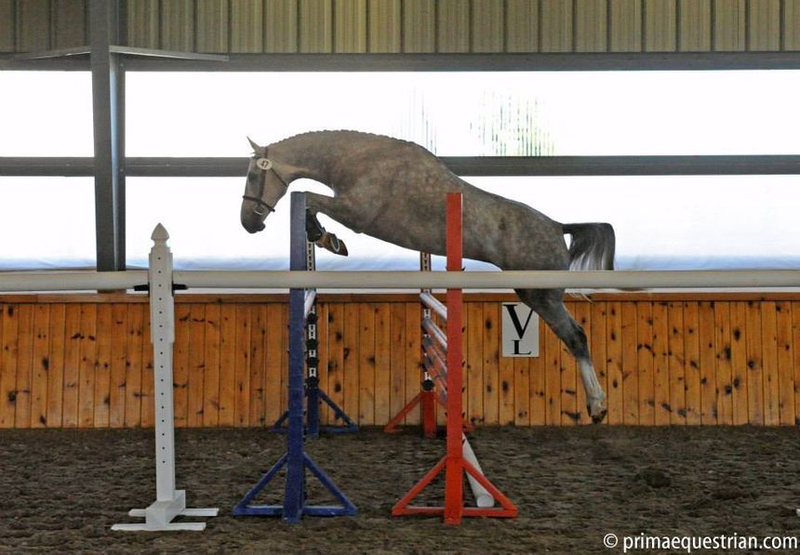 If that wasn't enough, Finn earned an impressive 89.5 in the Claybrook Farms Cup - which is a free-jumping competition for 2-, 3- and 4-year old jumpers. 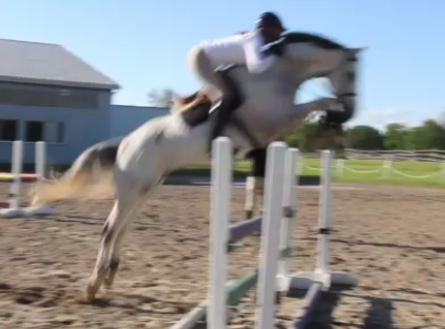 He ended the day as the Top Adult Jumper and the Overall Champion of the day!! So proud of the boy! !